Benefits of Inversion Table for Back Pain: And how, combined with Pilates it can be a winning combination for your back pain. 1. Zero gravity = Reduced compression of vertebrae in the spine and intervetebral discs. Combined with Pilates, inversion table exercises can help to stretch and strengthen the spine without gravity. 2. You get to lie on your back in an inverted position. Many Pilates exercises are also done lying on your back, side, and stomach to condition all aspects of the core. 3. Inversion table for back pain helps to increase the space between the vertebrae in the spine. Pilates exercise, with its pulling and stretching action on the spine works also to increase this space while simultaneously strengthening the muscles that surround and support the spine in this elongated state. The Pilates Bridge is a perfect example of an exercise that opens the space in the spine. 4. Helps to maintain height. Reduces shrinkage and eases aches and pains. 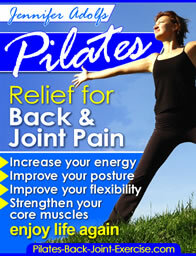 Pilates aids in maintaining height by improving your posture. Generally the spine compresses with age and disc degeneration, but with Pilates you are strengthening the muscles that support and hold the spine in an upright position, which makes you look taller and with better posture. 5. Increases circulation of your blood. Pilates inversion table exercises aids in circulation with the flowing movements and efficient breathing techniques used to smoothly transition from one exercise to the next. 6. An inversion table for back pain can decrease the stress in your life with a full body stretch, allowing you to sleep better and be more productive. Pilates focus is on elongating or stretching the muscles and the body to its fullest capacity and then simultaneously strengthening the muscles so they stay that way. 7. Mental alertness, the flow of oxygen to the brain allows for clearer vision and focus. Pilates exercises, because they are mind body, trains you to use your mind for more efficient and controlled movements in the body. This reduces your risk for injury and allows for more free flowing and precise movement patterns. 8. Increases flexibility and range of motion in the joints, keeping them better lubricated and, in turn more healthy. Pilates works the body in a full range of motion whether it is flexion, extension, rotation in the spine, shoulders, or pelvis this way of exercising is most effective for anti-aging benefits. Check out the new Pilates Ebook – Relief for Back and Joint Pain and get started today with your winning combination of inversion table for back pain along with Pilates exercises to end your back pain!